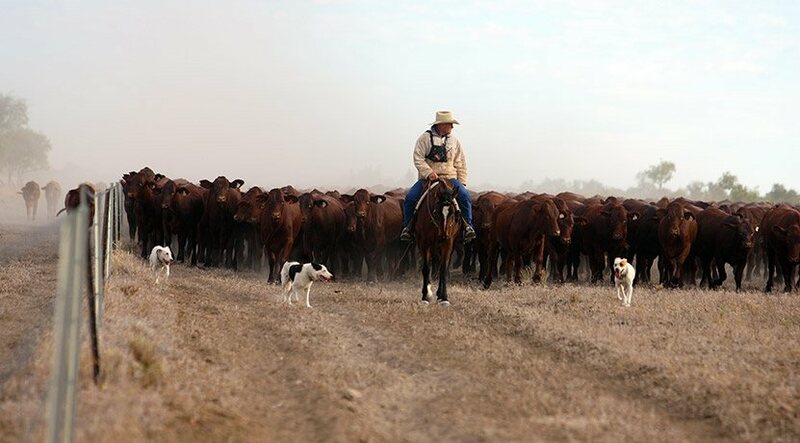 While we’re proud of our 175 years of history and traditions, the Elders of today looks to work with progressive clients and partners to unlock innovation and potential throughout rural Australia. If you are interested in supporting this growth in rural businesses and communities around Australia, apply for a role at Elders! At Elders we encourage applications from a diverse range of people, backgrounds and experiences. If you are interested in beginning or advancing your agribusiness career, Elders may have the perfect opportunity for you! Elders are proud to feature a selection of career stories from some of the women within our extensive network. At Elders, everyone is provided with opportunities to reach their full potential and we value the differences of a diverse workforce. A career with Elders means an opportunity to work among some of the best experts in the industry and learning through on-the-job training and mentoring. We offer online learning, webinars and in-house courses, which have been tailored to suit the needs of today’s farming businesses. Our employees appreciate the flexibility provided to them as their needs change over their career. We have many people whose loyalty and abilities have been recognised as they have forged their careers from trainee to senior manager, from sales to technical expert, from one side of the country to the other. If you are looking for an opportunity to advance your career, make sure you choose Elders. Agronomists help growers identify and resolve problems which may negatively affect the productivity of their farms. Drawing from personal experience and their own professional networks, the Elders agronomist has the resources required to solve any given problems on the land. Stock Agents engage with producers to maximise the value of their livestock by advising on market trends and techniques. Australia is the largest exporter of wool worldwide, resulting in wool being of immense value to the Australian economy. Elders provides important services to Australia’s wool industry, bridging the gap between growers and buyers. Elders recognises the value of a diverse workforce, being a critical lever in attracting, retaining and leveraging a broader talent pool to most effectively deliver organisational results for the benefit of shareholders, employees and customers. Women make a significant contribution to the Australian agriculture and Elders is proud to highlight just a few examples of women in our network and their contributions in our employee career stories. The Elders traineeship program has been specifically designed by the experienced sales staff in our business to ensure it provides practical and realistic training to the next generation of stock and station agents. The program focuses on developing skills and knowledge through valuable hands-on experience, online learning programs, and face-to-face workshops concentrating on the livestock and wool industry. This becomes a great launching pad for a progressive career with Elders. Elders Traineeship program graduates are currently working in roles within the Elders network including Branch Manager, Farm Supplies Sales Representative, Territory Sales Manager, Ecommerce, District Wool Manager, Livestock Manager and Livestock Production Manager. Upon successful completion, trainees will have a broad understanding of Elders and the livestock and wool industry as well as a nationally recognised qualification, the Certificate IV in Agriculture. Trainees who successfully complete the program are given the opportunity to apply for permanent roles with Elders that match their developed skill set. a desire to build a long terms sales career with Elders in the livestock, wool or livestock production advice industry. As successful candidates will be required to relocate throughout the Elders national network, those best suited will have worked away from home for a minimum of 6 months prior to applying. Trainees who successfully complete the program are given the opportunity to apply for permanent roles with Elders. Applications for intake 1 2019 are now closed. Applications for intake 2 2019 open in June. The Elders Wool Traineeship Program has been specifically designed by our expert wool team, ensuring the provision of invaluable training and experience through the delivery of online and workshop modules plus on-the-job experience. Upon successful completion, trainees have a broad understanding of Elders, the wool industry, as well as a nationally recognised qualification, Certificate IV in Agriculture. Trainees who successfully complete the program are given the opportunity to apply for a permanent role within Elders. When you join our team, you can be certain you’re working for a truly progressive agribusiness offering diverse opportunities, backed by over 175 years of experience. Applications for the current Elders Wool Traineeship intake have now closed. This website will be updated when the next intake process commences. At Elders we encourage applications from a diverse range of people, backgrounds and experiences. The Graduate Agronomy program has been specifically designed by our agronomy experts, providing excellent career opportunities within a leading national agribusiness organisation. The two-year tailored program involves the opportunity to work across multiple locations in Australia, providing exposure to a variety of cropping segments. The second year of the program focuses on specialisation in a particular segment. Supported by our in-field experts, graduates will develop the skills required to provide growers with the latest in agricultural technology. This includes crop protection products, seed, fertiliser and plant nutrition services through the provision of cutting edge agronomic advice. Upon successful completion of the program, trainees are given the opportunity to apply for a permanent position with Elders. Eligible applicants are those with tertiary qualifications, along with being confident, motivated to succeed, having sound management and communication skills, and a passion for agricultural production and the rural lifestyle. When you join our team, you can be certain you are working for a truly progressive agribusiness offering diverse opportunities, backed by over 175 years of experience. Intakes close between November – December each year. Find out more about career opportunities with Elders.